Our snap caps are precision machined from aircraft solid aluminum. 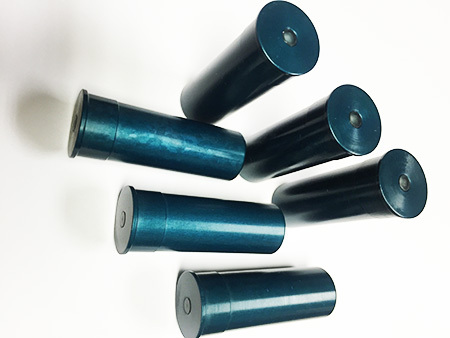 Hard Anodizing is applied in safety blue to allow for smooth functioning and long cycle life. 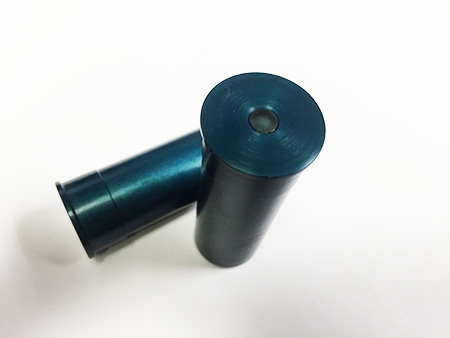 Our Teflon insert "Dead Cap" can take thousands of dry fires while protecting your firing pin. Perfect to train cycling through your KSG which is a MUST. KSG's require a positive full charge stroke. Idea for function tests, or to show someone how to operate operate and cycle your KSG SAFELY. Handles just like Real 12 Guage Ammo. CNC Machined from 6061-T6 Aircraft Billet Aluminum. Weight functions just like real 12 Guage Ammo. Perfect for KSG function check. Manufactured with Teflon dead insert to protect firing pin during thousands of dry fires. Machined to Mil-spec and deburred to perfection! No sharp edges. 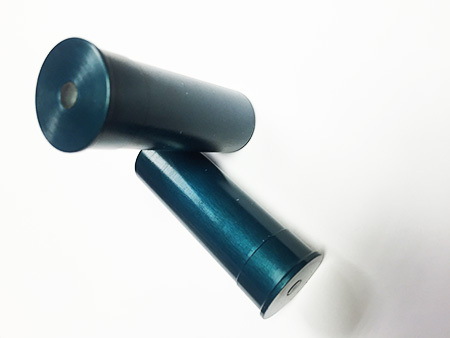 Safety Blue Hard Anodized to Military spec MIL-A-8625 Type III Class 2 for smooth Action and durability. Same size as 2 3/4" Shells.